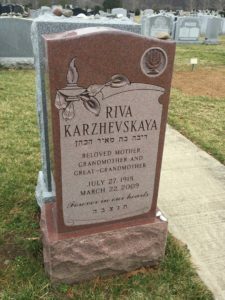 Since the beginning of time Mausoleums have denoted an attribute of wealth, royalty, or prestige for those of Jewish faith. 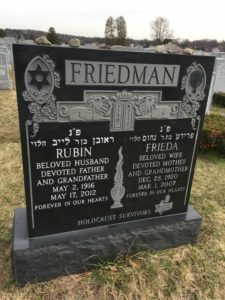 Traditionally, people that practice Judaism are buried beneath ground. 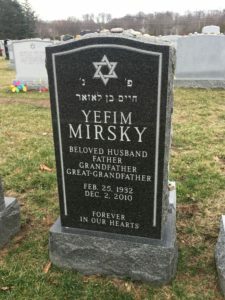 Within most mausoleums outside of the Jewish faith, caskets are placed above ground. Therefore, it is completely acceptable for having a mausoleum as an option for remembrance as long as your loved one has been interred beneath the ground. However, as time goes on the, mausoleum option has become more and more available for all to enjoy. Mausoleums are often considered a regal dedication to your loved one’s life. They can be made above or in ground for privacy and reflection. Although mausoleum is the standard term today for a building which acts as the monument to someone’s life they are sometimes referred to as tombs, crypts, or sarcophagi. These monuments are usually designed with etchings, engravings, inscriptions, sculptures, pictures, designs, patterns, quotes, or plaques. All aesthetics may be completely visible externally and some may be inside the mausoleum. These monuments can be built and dedicated to one individual or used as a family plot to host the remains of an entire family. Mausoleums dedicated to an entire family may hold up between 12 and 24 internments. The vast majority of the time a family mausoleum is built with 12 internments in mind. If you’re interested in a mausoleum the first step is to choose an appropriate spot in the cemetery based off the size you are looking for. Designing a mausoleum can be a tremendous task that being said our architectural experts can take on that responsibility for you. We can show you the mausoleums we have constructed in the past. 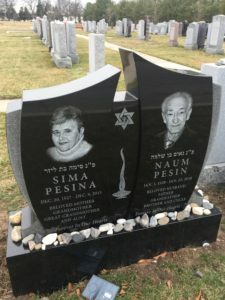 With over 80 years in service excellence Jewish Monuments NJs has been building mausoleums faithfully for the people of Northern NJ. Most of these monuments are going to be made with granite for its high durability and wide range of colors. However, there are different kinds of granites and we must choose the best type for the location of your new mausoleum. The first step is an analysis of the weather patterns in Northern NJ we are going to need a granite that is resistant to high levels of snow and rain fall. Constructing a mausoleum for a family or an individual is a complex task due to the nature of this it’s very difficult to give an exact completion time. Generally building the mausoleum shouldn’t take any more than 1 to 4 weeks. The hard part however is getting all of the permits, and final paperwork approved. The cemetery has the final say on the mausoleums existence. Every cemetery does it a little bit differently, some may have a third party handle the contracting responsibilities. If this is the case then we need to communicate with that third party for our plans to move forward. In other cases, the cemetery may have its own organization of contractors who need to assess our plans. In the past, we have seen this approval process last anywhere from a week to several months. This process can take some time for good reason. The cemetery has to first make sure the mausoleum is in adherence to its building code. Second, the cemetery needs to assess the integrity of the building to make sure it will stand the test of time. This protects the investment you made with the cemetery in the first place and is good practice. The fact is these projects in all of their magnificence cannot be hurried for the sake of integrity of the surviving parties, the cemetery and us the manufacturer. Although crypts, tombs and sarcophagi are often used synonymously with mausoleum they are all different in certain ways. Crypts are underground burial places, historically these existed beneath churches today you can find crypts in your local cemetery. They are typically stone, or concrete structures which house the casket or coffin. A tomb is a container of varying size and shape that holds the remains. A sarcophagus is a structure which may be part above ground and part below without windows, or entrances. Sarcophagi can host up to eight internments which are lowered in via the roof and set to rest underground in the section which isn’t visible to the outside. The reason a mausoleum is considered different is because it is a fully above ground structure usually with doors, windows, or a bench allowing visitors personal, and private time to reflect with their loved one.